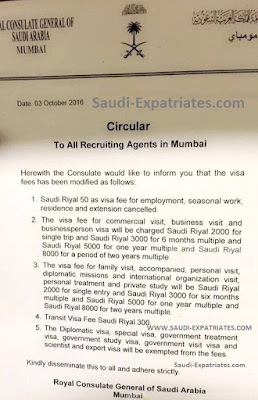 - This fee excludes hajj visa and Umrah for the first time entry only, They must pay from second entry in KSA on Hajj visa or Umrah visa. There is nothing like per one hijri year free Umrah entry. - If anyone of you go through the new procedure after 2nd October, Please write to us in message on our Facebook page, It will help the other people who are looking for it.